Morocco, Nador, November 11 2012. In the forests and on the mountains that surrounded Nador, groups of Sub-Saharian migrants survive and wait the right moment to cross illegally the border that separe Morocco and the city of Melilla in Spain. The Moroccan Police and Army constantly harrass them and during the night made raids through the migrants camp in order to deport them at the border with Algeria. 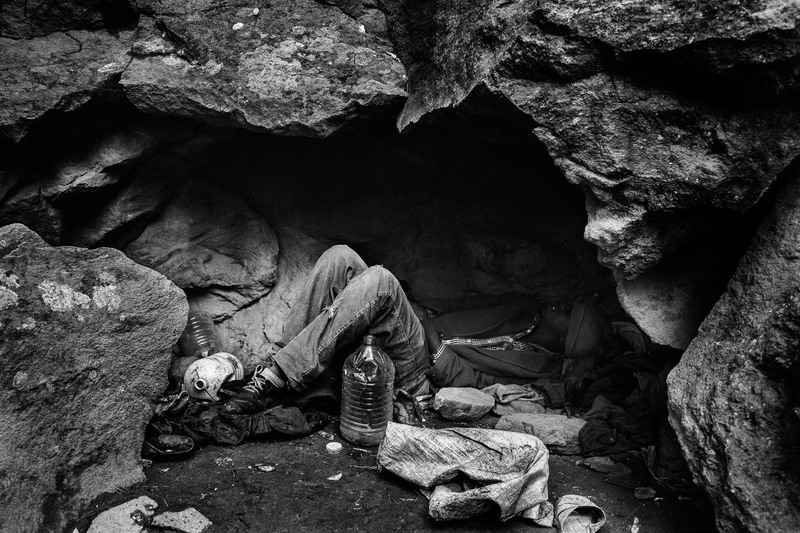 In the picture, a migrant from Mali lay down under a cave used as a shelter.